Clicking the orange button takes you to a simple registration page. Complete the registration form and click the SUBMIT button. You will receive confirmation emails with a tracking receipt, an explanation of the tests to be performed as well as packing and shipping instructions. Print the tracking receipt, pack the filter and ship both as instructed. Results are returned to you via email (usually) within 7 days. 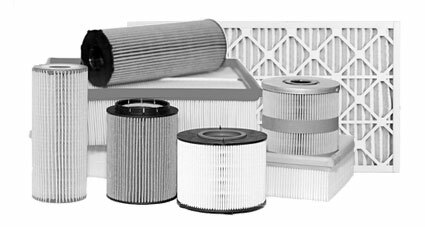 Car/truck air filters, air conditioner and furnace filters, HEPA air filters. State of the art instruments will be used to inspect your filters. One of the primary tools is the Berkeley Nucleonics SAM 940 Defender / Revealer Radiation Isotope Identifier (called a "RIID" by the Dept of Homeland Security). This sensitive device enables the rapid detection and identification of a variety of radioactive isotopes, along with dose rates. The following sample screen shots give you an idea of what we see on the RIID display when inspecting an air filter. The results displayed when testing your filter will be different. All testing is carried out by a team of experienced engineers in the radiological instrument testing and calibration labs of KI4U, Inc of Gonzales, Texas. We invite your due diligence. Results of the test will be returned to you by email. Nothing will be sent to your home. You can expect test results (normally) within 7 days of the receipt of the filter. Nothing is reported to any government agency ever! We only send the results to you. Test results will also be displayed in an online map, geolocated using ZIP codes only. No other personal information is disclosed. Ever. By default, we dispose all filters submitted after testing. If you would like your filters returned, you would need to include $10 for return shipping. Do this ONLY if you want the filter returned. Updates on national testing results and any threatening or interesting discoveries will be reported in our weekly publication "Threat Journal" (http://www.ThreatJournal.com). Threat Journal is emailed to you every Saturday. Be careful not to delete your subscription. You will be automatically subscribed when you are issued a tracking receipt. Threat Journal is a free publication and willremain that way. Testing and analytical services for the program are provided by KI4U, Inc. of Gonzales, TX. (http://www.ki4u.com). Widely regarded as one of the nation's most experienced radiological instrument testing and calibration labs, KI4U has the instruments, staffing and experience necessary to quickly and efficiently carry out the testing program. AlertsUSA (http://www.AlertsUSA.com) is sponsoring the testing program. The company provides America's gold standard national security threat and incident notification service for mobile devices. Their publication, Threat Journal (mentioned above) is the official mechanism for regular updates on the RadTest4U national test program. RadTest4U.com (http://www.RadTest4U.com) is just the program registration website. Because we can and we should. Lives could be at risk, while many others could be worrying needlessly. We are also demonstrating that it is not necessary to wait on the government to mount a nationwide investigative effort and provide the information. The same tools, instruments and brainpower, as well as far more efficiency, are available within the private sector to take up some of the slack. Self reliance is much better than government reliance. This is the way things are supposed to work. Because you can and you should. Lives, including that of yourself, spouse and children are potentially at risk. Given the increasing number of nuclear emergencies and disasters, do you really know what you and your family are breathing? Are you waiting for the government or industry to tell you if there is danger? Another reason to do this is because it is completely free. All you have to do is ship a small box. You're out nothing but postage and a replacement filter. "Citizens being able to independently confirm, via submitting their own used air filters to laboratory analysis, of what's blown in on the wind, or not, is a great idea. I applaud KI4U offering their radiation laboratory facilities to provide this free public service and encourage everyone that has concerns to take advantage of it." - Senior Scientist, Science Applications International Corp. (SAIC), McLean, VA. SO YOU DON'T FORGET !